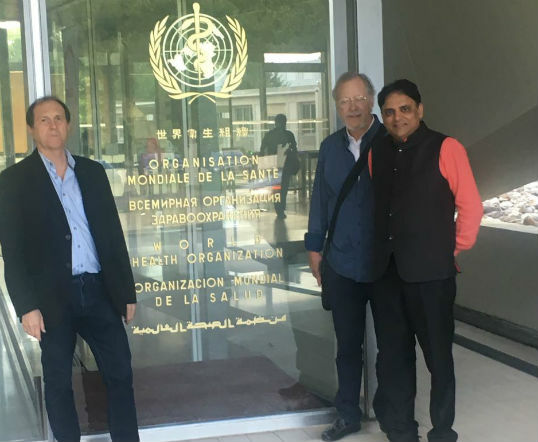 Faridabad: On the last leg of his European educational trip, Ayurvedacharya Dr Partap Chauhan, Director Jiva Ayurveda visited World Health Organization (WHO) headquarters in Geneva, Switzerland. During his visit, he met with Dr. Edward Kelly, Director of Service Delivery, Safety Health Systems and Innovation. Dr. Kelly also headsTraditional and Integrative Medicine and is spearheading the revival of traditional and herbal medicines worldwide to provide effective, affordable healthcare to the masses at large. During the meeting, Dr. Chauhan shared the work done by Jiva Ayurveda towards validating Ayurvedic treatments scientifically. 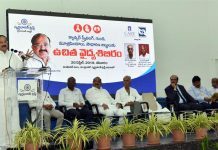 He also explained how 400+ Jiva doctors and support personnel at Jiva Medical and Research Centre consult over 6000 patients daily. Dr. Kelly expressed his support and interest in collaborating with Jiva Ayurveda in the future. They talked at length about the possibilities of taking Ayurveda to masses who seek effective and affordable healthcare. Dr. Chauhan also met with scientists from France, Portugal, Switzerland and Spain and extended an invitation to Dr. Kelly to visit Jiva Ayurveda.